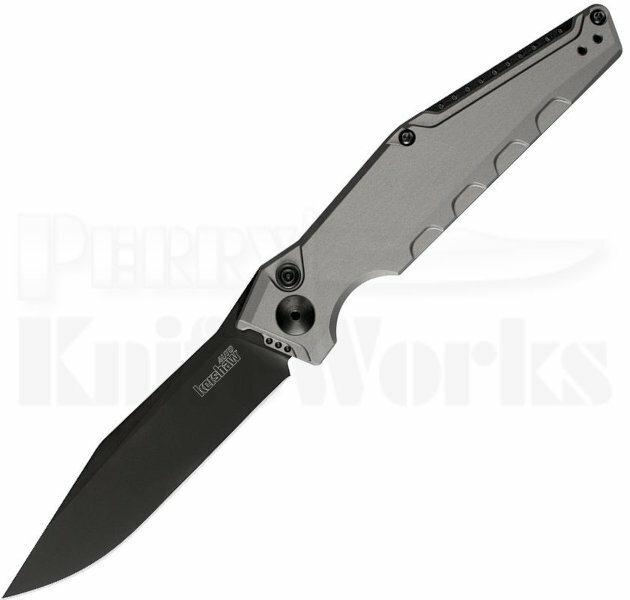 The Tim Galyean designed Kershaw Launch 7 has an industrial look with its machined handle and integrated backspacer that takes it out of the ordinary way out of the ordinary. With a long 3.75" clip-point blade of CPM 154, the Launch 7 offers a long, lean profile. The handle is highly sculpted for an attention grabbing look. Machined contours on both handle top and bottom give the Launch 7 its modern, industrial aesthetic as well as ensuring a solid grip. The backspacer is fully integrated into the handle, adding to the Launch 7?s solid feel and great look. The handle is built of aluminum for lighter weight and is anodized in grey, making it stand out from the rest of the Kershaw automatic line.